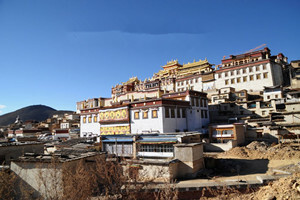 Visit the gorgeous Stone Drum Town that holds a deep historical and symbolic signiﬁcance. 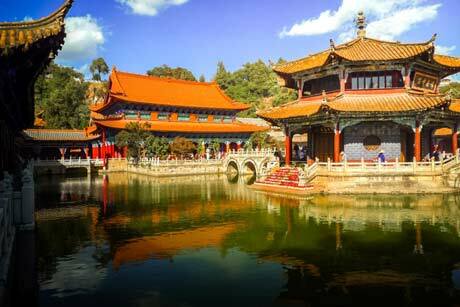 Take in the panoramic view of the First Bend of Yangtze River and marvel at the beauty of the wonder of nature. 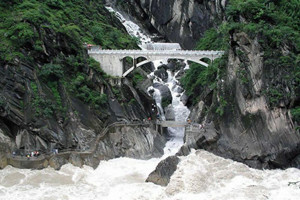 Add more thrills to your adventure by trekking the steep trails of the magnificent Tiger Leaping Gorge. 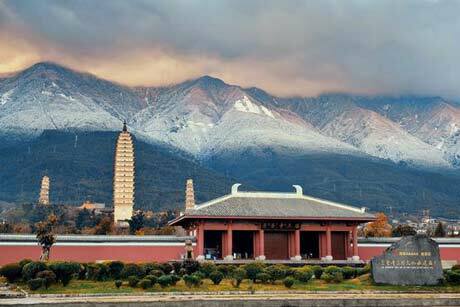 Visit the gorgeous Stone Drum Town which sits on the bank of Yangtze River, gain an insight into its significance in China’s history. 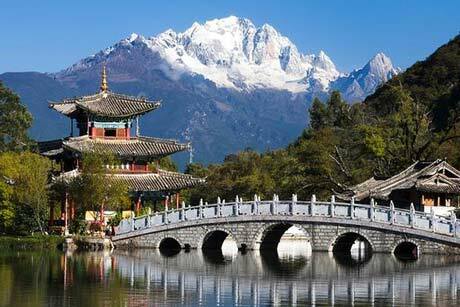 Visit the dangling Iron Chain Bridge straddling a branch of Yangtze River. 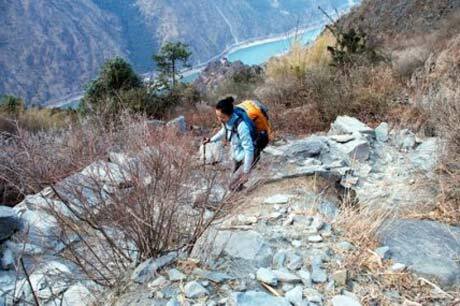 Climb uphill to worship the beauty of the First Bend of Yangtze River. Trek the upper part of the Tiger Leaping Gorge to gain an overlook of one of the world’s deepest canyons and longest rivers. 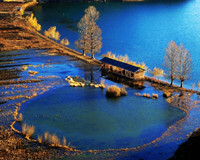 Start your journey by taking a stroll around the splendid Black Dragon Pool, visit Dongba Culture Museum to explore the unique Naxi ethnic culture, enjoy a retreat from urban bustling in the peaceful and gorgeous Yuhu Village, visit the former residence of the explorer Joseph Rock to trace his life course in Yunnan. 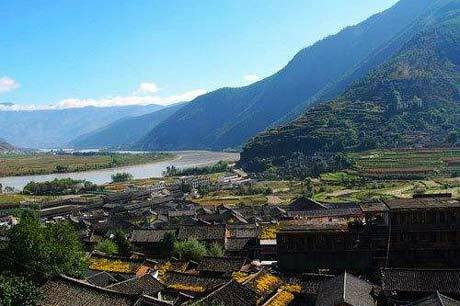 You’ll be picked up from your hotel in Lijiang by your local guide and chauffeured to visit the gorgeous Stone Drum Town on the bank of Yangtze River. 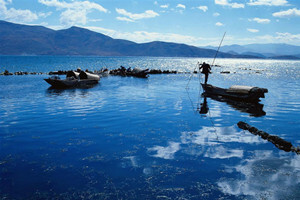 Stone Drum Town is 70 kilometers away from the city of Lijiang and is easily accessible from the highway. 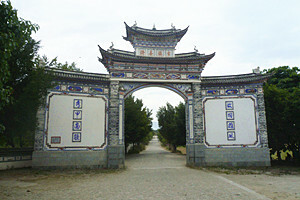 The old town is named after a drum-shaped marble plaque it hosts. 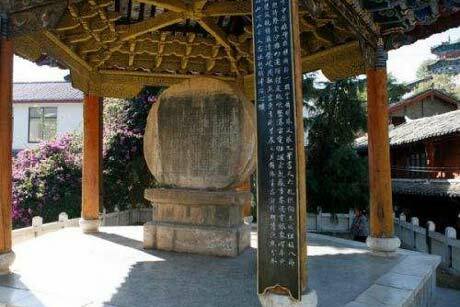 Built during the Jiaqing era of the Ming Dynasty, the stone drum is a monument commemorating the victory of Lijiang’s Naxi ruler over an invading Tibetan army. 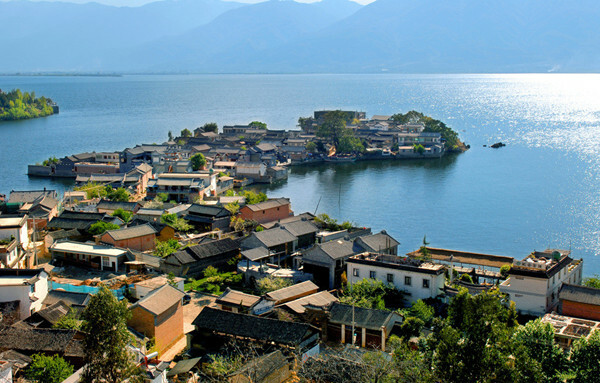 Throughout time, Stone Drum Town was always a significant strategic military area where many famous historical events have been taken place. In April 1936, the Second Route of the Red Army crossed the river here and continued to march north. There are memorials here honoring the people whose histories are entwined with the Stone Drum Town. 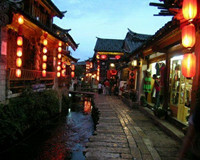 The area is now home to 8 ethnic populations and boasts a greet scenery of swirling rice terraces and trembling willows. You’ll then head west to visit the Iron Chain Bridge, a bridge built in late Qing dynasty to help villagers cross the galloping Chongjiang River under the feet. Next up, you’ll climb uphill to ascend to a high spot where you can take in the panoramic view of the First Bend of Yangtze River. 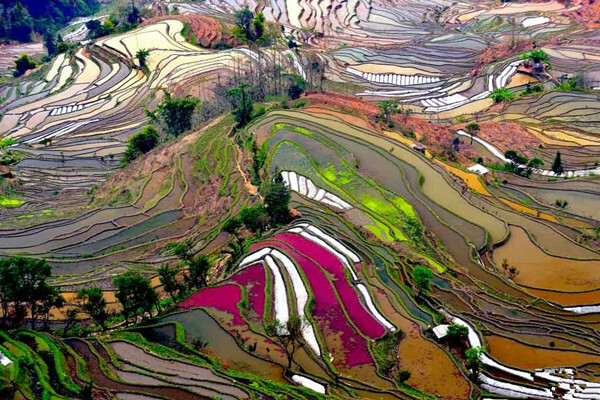 It is named as such because a sudden V-shaped bend has been formed when the Yangtze River flowing by, which creates views of wonder. Get prepared to snap a photo of the meandering water embraced in lush valleys. Trek the upper part of the Tiger Leaping Gorge to gain an overlook of one of the world’s deepest canyons and longest rivers. 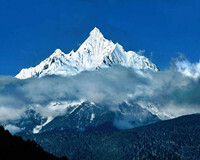 Afterwards, we’ll head towards the magnificent Tiger Leaping Gorge — one of the deepest river canyons in the world and an irresistible attraction to the world’s adventurers and hikers. After having lunch at a local restaurant, we’ll hike the upper part of the gorge. 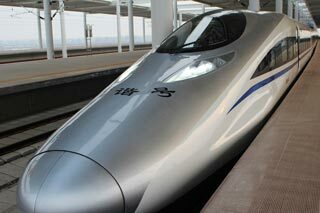 Start your hiking from Qiaotou Town. 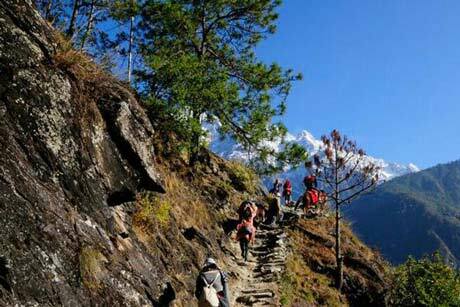 The upper part of the gorge is notable for hosting the narrowest walking trail in the entire trekking route. Most of the paths are either roughly hewed out of cliffs or shaky bridges built with planks. Plodding uphill, you’ll be almost constantly sandwiched by the craggy mountain on one side and the precipitous cliffs on the other, which can be simultaneously haunting and thrilling. After about a 2 - hour trekking, you’ll reach the first hub on the route—Naxi Family Hostel. After a short rest, you’ll head towards the notoriously spiraling 28-bend trail. The trail is ascending with swirling twists and is littered with slippery stones. Patience and mindfulness can be critical in assuring your safety. After reaching the peak of this particular section, the challenge of an arduous uphill climb will be rewarded with a sweeping view of the entire canyon lying under your feet. After crossing a bamboo forest and the rugged hillside, you’ll descend to the Tea Horse Hostel to take a rest. 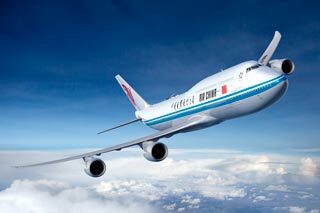 At the end of the journey, you’ll be transferred back to your hotel. Air-conditioned vehicle with skilled driver. 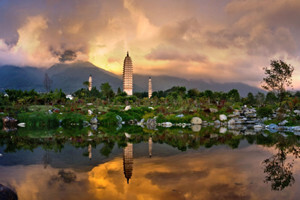 One week trip to cover and experience the most beautiful natural scenery.